Hillary Clinton is not going away. Hillary Clinton speaks at the Eighth Annual Women in the World Summit on Thursday in New York City. Since the election, thinking about Hillary Clinton has been painful. Every photograph of Donald Trump standing before a grinning phalanx of white men as he signs another attack on the social compact is a reminder of what could have been. Many people on the left are furious with her; they blame her sense of entitlement and poor political instincts for our current dystopia. But when I think about Clinton I just feel sick with grief—both for our country, and for her unredeemable, life-defining loss. On the scale of people whose existence will be blighted by the Trump presidency, Clinton is nowhere near the top. Still, I find myself wondering at odd times of the day and night: How is Hillary? Is she going to be all right? It was appropriate that Clinton was speaking at a women’s conference. Twenty-two years ago, during a moment of political crisis and despair following the collapse of her attempt at health care reform, Clinton revived herself by traveling to Beijing for the United Nations Fourth World Congress on Women where she famously said, “Human rights are women’s rights, and women’s rights are human rights.” She’s always seemed most comfortable when working on behalf of women and girls, which she described on Thursday as the “unfinished business of the 21st century.” With her future suddenly a blank, Clinton says her only plans are to write a book—which will, among other things, explore the role misogyny played in the presidential election—and work to recruit and train young women to run for office. It’s hard to imagine, now, what it would have been like to have a president who finds her solace in feminism. 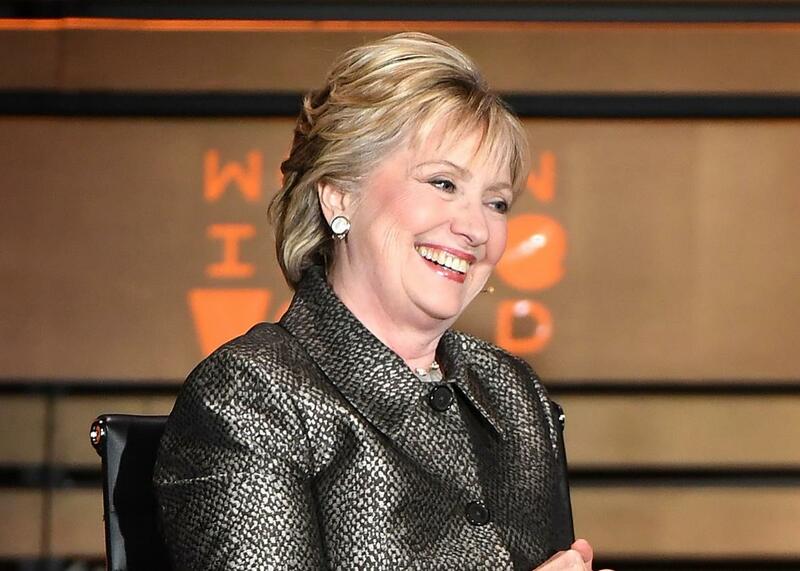 Clinton, like many American women, has been aghast at the administration’s systematic attacks on women’s rights and health: the expanded global gag rule, the defunding of the United Nations Population Fund, the attempts in the American Health Care Act to jettison mandatory insurance coverage for maternity care and to eliminate federal funding for Planned Parenthood. “The targeting of women, which is what’s going on, is absolutely beyond any political agenda,” she said. “There’s something else happening here.” She didn’t say exactly what that “something” is, but the suggestion is that Trump represents a wave of misogynist rage. Clinton’s worldview is sincere, but this sounds like a recipe for another unwinnable war. Yet instead of her carefully considered plan for greater military intervention in Syria, we now have Trump’s impulsive bombing raid, disconnected from any greater strategy. Under Trump, there’s been an increase in civilian deaths in Muslim countries, possibly because he has loosened the military’s rules of engagement. During the campaign, it was common to hear people on the left describe Clinton’s foreign policy as “scarier” than Donald Trump’s, to use Green Party candidate Jill Stein’s word. Yet what we have now is aggression unchecked by competence, analytical rigor or compassion. He can speak for himself. It’s hard to watch Clinton these days, but it’s also inspiring. Having suffered an epochal, humiliating rebuke that could well cleave American history into before and after, she still—still!—refuses to disappear. Speaking of the viciousness with which women in politics are treated, she said, “Part of the personal attacks, part of the bullying, part of the name calling that has certainly become much more pervasive because of the internet, is to crush your spirit, to make you feel inadequate, to make you doubt yourself. I just refuse to do that.” This toughness would have served her well as president. But she might need it even more now that she never will be.